It’s been a long time since I’ve linked up with the Weekend Mini Style. I wanted to get back into it as every week it gives me a reason to get some nice shots of my girl. She is growing so much now and I don’t think I have taken any photos of Rosalie since her birthday 2 months ago. Rosalie’s dress is from H and M. This was a dress I bought for Valentine’s day last year. I was surprised to find that it still fit. Rosalie’s knitted leggings are from Primark as is her furry gilet. Rosalie’s boots were a sale find in Tesco and they were only £5.00. They have been waiting patiently in Rosalie’s wardrobe for the whole year! 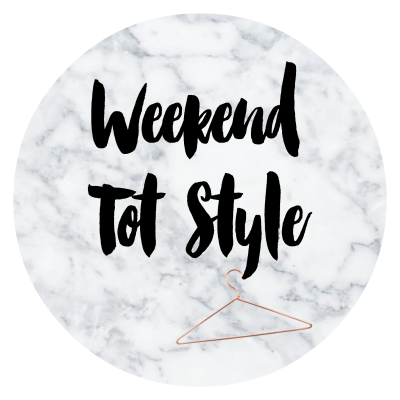 If you’d like to link up with the weekend mini style take a look at The Diary of an Ordinary Mum blog. Thank you lovely, I know! and Sainsbury’s, I’m a secret supermarket shopper!